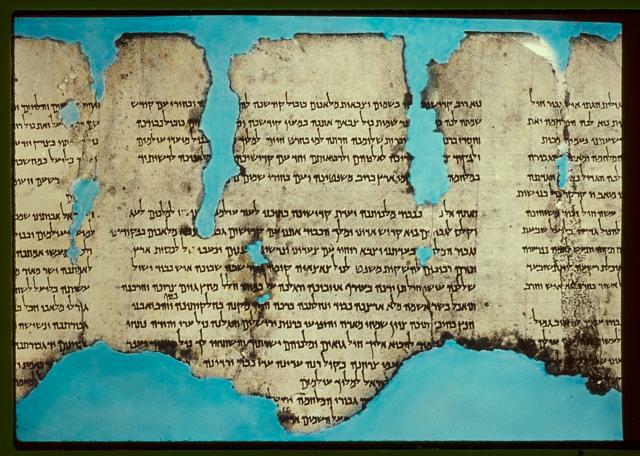 The Dead Sea Scrolls left Israel for the first time in 2005. They were displayed in Berlin, Germany at the Martin Gropius Bau exhibition hall, in an exhibit entitled “The New Hebrews, 100 years of art in Israel”, an event organized to commemorate 40 years of diplomatic ties between Israel and what was then West Germany. 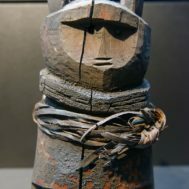 Now, the German Foreign Ministry and Federal commissioner for cultural affairs is refusing to protect the Scrolls from seizure if they return for an exhibit planned at the Frankfurt Bible Museum, saying that they consider ownership of the scrolls to be unclear. German officials have indicated that they believe that Palestine or Jordan may make a claim of ownership. The Ministry’s decision has caused Israel to withdrawal the loan of the Dead Sea Scrolls for the exhibit. Many German officials have expressed outrage over the Ministry’s decision and concern about what this could mean for Israeli/German relations. Uwe Becker, the deputy mayor of Frankfort, was quoted in The Jerusalem Post as saying, “If Germany is unwilling to clearly express the legal status of the fragments of Qumran as Israeli world-cultural-heritage goods, it would dramatically change the coordinates in our German-Israeli relations.” Boris Rhein, the culture minister from the state of Hesse, told German news agencies that he did not agree with Germany’s federal government decision; he would have gladly issued the guarantee himself if he could. Also in The Jerusalem Post article, The Frankfurt Bible Museum director, Jürgen Schefzyk, said he regretted the German government’s decision, adding that neither Holland nor Austria would have hesitated to issue general immunity guarantees. Jar and Cover for Manuscript Rolls, ca. 1st century BC. ceramic. Walters Art Museum, Baltimore, 1952. Above: The War Scroll, By Matson Photo Service – American Colony Jerusalem (Library of Congress) [CC0], via Wikimedia Commons. The Dead Sea Scrolls are a collection of fragmented scrolls found in numerous caves around the West Bank, near the Dead Sea. Bedouin shepherds Jum’a and Muhammed ed-Dib are credited with the original discovery of seven scrolls in a cave near Qumran in 1947. Until 1956, both archeologists and Bedouins scoured the caves in the Qumran region, uncovering over 900 documents, consisting of 100,000 fragments, from 11 caves. Additional finds came from caves near Wadi Murabba’at and Nahal Hever through the 1950s and 1960s. Multiple carbon datings of the Dead Sea Scrolls place them within a 400 year period between the second century BCE and the second century CE. A large number of the scrolls contain Jewish biblical writings and commentaries. Another portion is more secular. According to experts, 85% of the documents were written in Hebrew. The remaining works were written in Aramaic and Greek. Some of the Dead Sea Scrolls are currently exhibited in the Shrine of the Book wing of the Israel Museum, Jerusalem. Germany’s decision to deny protection to the Dead Sea Scrolls in the face of possible Palestinian and Jordanian claims of ownership brings to light increasing Israeli/Palestinian tension over the allocation of cultural heritage rights in UNESCO, the United Nations Education, Scientific and Cultural Organization. There has been concern about an escalation of these tensions since the Palestinian Authority was given full membership in UNESCO in 2011. What is often perceived as UNESCO’s anti-Israeli sentiment and policy is one of the reasons that both the United States and Israel are withdrawing from UNESCO next year. UNESCO has taken numerous steps viewed as pro-Palestinian or anti-Israeli with respect to cultural heritage. Last year UNESCO passed a resolution on an Israeli occupied site in Jerusalem claimed by all three monotheistic religions, Islam, Judaism, and Christianity. The site is known as the Temple Mount by the Jews, and Al-Aqsa Mosque/Al-Haram Al-Sharif by the Muslims. The resolution asks Israel to return the site to Jordanian authority. The UNESCO resolution only includes the Islamic name of the site and does not mention its Jewish history, a move that Israel read as an attempt to erase Jewish history from the city. The resolution also expresses regret that Israel hasn’t implemented decision 185 EX/Decision 14 and also condemns Israel for other actions related to the site. In July of this year UNESCO simultaneously added the core of Hebron, known as Al Khalil Old town, which includes the monument known both as Haram al-Ibrahimi and the Tomb of the Patriarchs, to both the World Heritage List and the List of World Heritage in Danger. The ruling declared the site Palestinian despite the fact its in what is currently the Israeli sector. After Jerusalem, Hebron is the most important city in Judaism partly because the Cave of Machpelah in the Tomb of the Patriarchs is said to contain the remains of Abraham/Ibrahim and his family. Abraham/Ibrahim are holy prophets in both Judaism and Islam. In its decision, UNESCO states that the site is important to the three monotheistic religions, but names both the town and the tomb as belonging to Palestine. 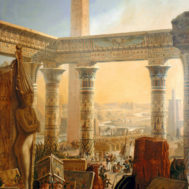 According to the BBC, the site was placed on the World Heritage in Danger list because of alleged acts of vandalism by Israelis and property damage to the monument. Israel denies these allegations of vandalism and sees the resolution as another UNESCO move to undermine Jewish history in the area. 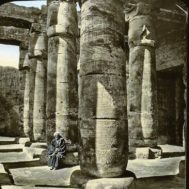 The monument has been held by many political entities over time, a cave wall being built by Herod the Great in the early years BCE, becoming a site for Christian pilgrims by the 4th century CE, and a mosque by the 10th century. The site was taken by Crusaders in 1100, and a church was built there, which Saladin converted to a mosque late in the 12th century. Access to the site was denied for Jews and Christians from the 15th to the mid 20th century, until after the 1967 war, when the Israeli government began to administer Hebron. The monument is managed today by a Muslim waqf, a charitable organization, and religious worshipers of different faiths have been allocated segregated areas of the monument. During the years of the discovery of the Dead Sea Scrolls, the West Bank was under British administration (1920-1947). During the 1948 Arab-Israeli war, Jordan gained control of the West Bank, which it maintained from (1948-1967). 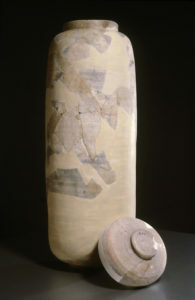 The Palestinian claim to the Scrolls is based on this history and the current cultural property policies that prioritize national government ownership – that cultural artifacts are considered the property of the government currently holding a particular geographic region – despite the fact that they may have belonged to a population that no longer resides in the area. Scholars view the Dead Sea Scrolls as entirely Jewish, and stress the importance of the fact that they have been housed, cared for, and researched in Israel for over fifty years.